For a company to be able to update their employees regarding their status, regular meetings should always be conducted, mostly have it on a monthly basis. 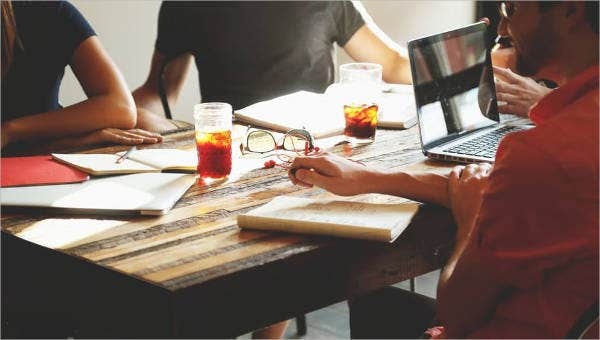 During meetings, the company also encourages their employees to speak up and give feedback and suggestions on how to make improvements to the company. Meetings give chance for the employees to gather and exchange information with colleagues as well as their respective superiors. And for a meeting to flow smoothly and in an organized manner, the presider should always make use of a meeting agenda to guide them on the topics that need to be discussed. 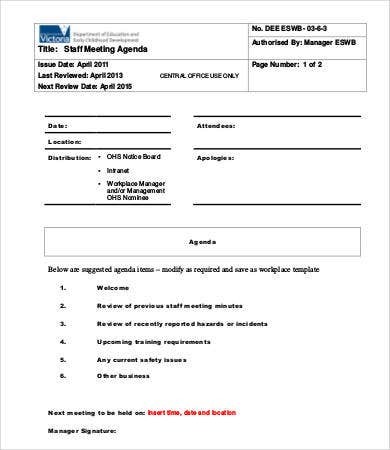 Here on our website, we have a collection of Meeting Agenda Template for you to choose from. Why is it important to have an agenda in meetings? Meetings without an agenda have a chance of leading to no direction and are less likely to be productive. Preparing an agenda ahead of time will give the attendees a chance to prepare for the meeting, and at the same time, also give them an opportunity to contribute to the agenda by suggesting additional topics to be discussed. 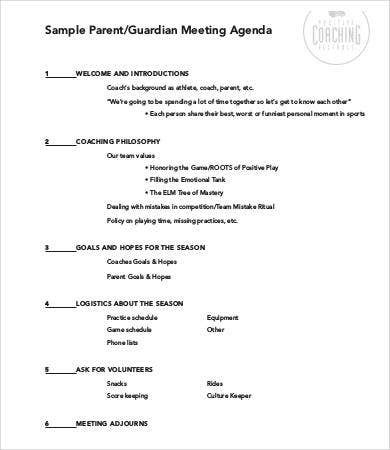 Meeting agendas can provide the attendees with a written reminder of what the meeting will be about as well as the things that need to be accomplished. 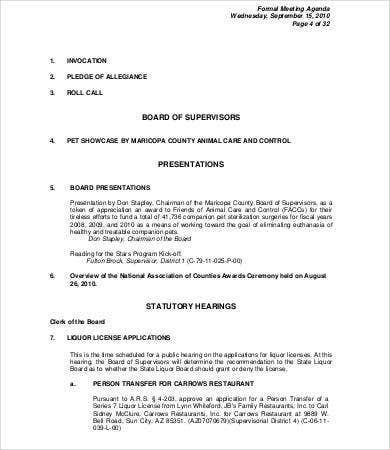 With meeting agendas, employees have no excuse of not having an idea of thing things that will be brought up during the meeting. 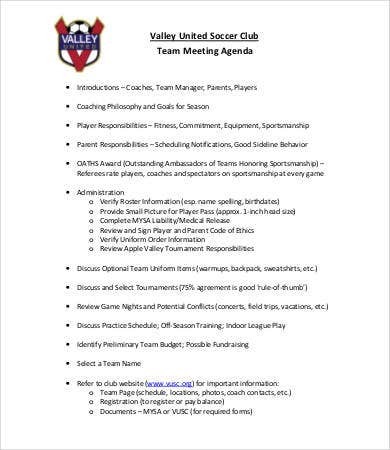 Meeting agendas can assist in ensuring the meeting will move at a constant pace that will enable the presiders that all topics will be covered. Agendas can give the employees a sense of determination and accomplishment when leaving the meeting. 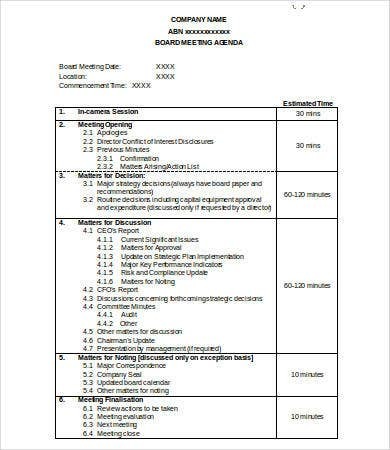 Minutes of the meeting are also written on the agenda to evaluate the result of each topic and to bring up new topics that would need to be included on the agenda for the next meeting. 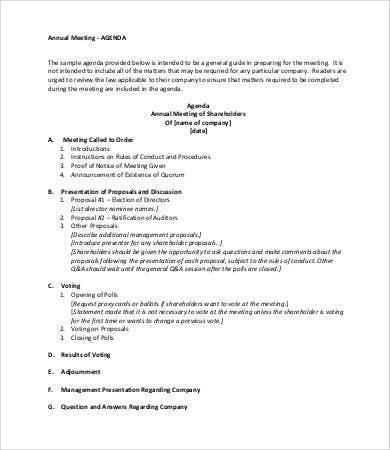 Agendas can encourage the participants to provide feedback to the meeting planner regarding the direction of the meeting and make necessary improvements for future meetings. How should you write a meeting agenda? Don’t write you agenda at the last minute. The earlier, the better. Define the meeting objective by providing a short but clear summary of what will be discussed. 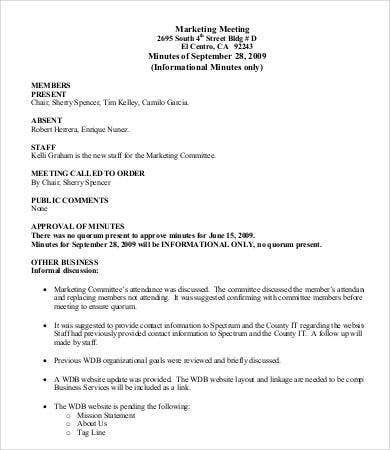 Indicate in the agenda a list of people and their respective responsibilities in the meeting. 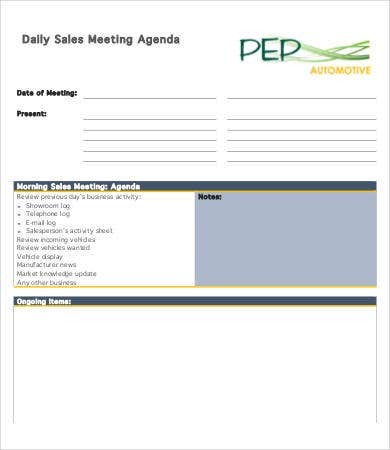 You may want to check out collection of Sales Meeting Agenda Template and Committee Meeting Agenda Template for more templates to choose from. 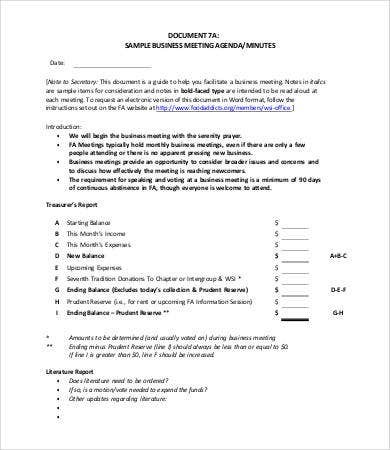 Our collection of meeting agenda templates save you the hassle of writing your own from scratch. These templates come in high resolution PDF, Doc, and Docx formats for easy editing. These templates can be accessed and downloaded easily for free. Simply choose the template that suits you best, download it on to your personal computer, and you’re ready to go. You may also want to check out our collection of Weekly Meeting Agenda Template. But if you couldn’t find what you were looking for on this page, simply scroll down to the bottom and check out the links to other related templates on our website.